Your website should be making you money! If you feel that your current web presence is more of a drain on your finances than an important selling tool then please read this to find out how to make your site profitable! 10 Website Design Mistakes to Avoid! A badly designed website can be just as bad as having no website at all! Here we list the main 10 most common flaws a website design can have, read on to find out how to avoid making the same mistakes as so many others have! What! You Don’t Have a Website? The benefits of a business website! The 10 Most Common Website Problems! 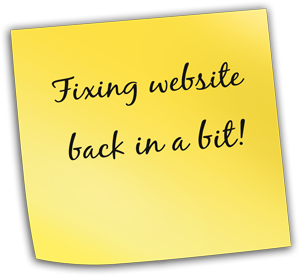 Read on to find out the 10 most common website problems. If your website is slow loading or hidden in the search engines then it is quite a costly waste of time for your business. Enterprising Internet can help to explain why your website may be failing.